m Back after a long time .. .. . hows every one doing v1, ahmed bhi , kashif bhia , shazoo , umair .. ?? You want dodo tyromania or the supernatural tyre dressing ? Sorry for an off-topic reply, i'm selling my iPod touch 32gb 4G black. If anyone is interested, please let me know. a part 2 of this thread has been started,link is given below. I am period of time removed from the top of 1 of the happiest periods in my life. From the day we tend to formed her till these days, I get up each morning knowing that everything is because it ought to be. 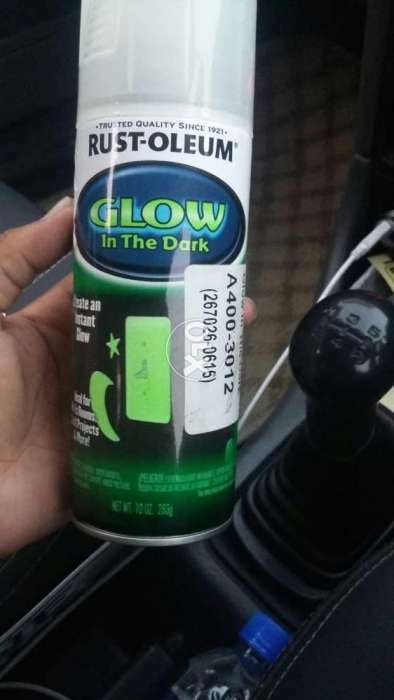 GLOW IN THE DARK MAX is a superior luminous paint that creates a glowing effect in the dark after being charged by natural or artificial light. GLOW IN THE DARK MAX glows 2 times stronger than the leading glow in the dark paint. Glow in the Dark MAX offers superior glow power for easier visibility in the dark. Glowing effect can last up to 4-8 hours under optimal conditions. It can be applied to wood, metal, dry wall, ceramic, plastic and more. For indoor and outdoor use. Periodic re-application may be needed for outdoor use. Apply over a white or light covered surface. Object will need to charge for several hours before the glowing effect will occur. All the gurus, pls guide, recently bought a car in white color, some of my friends advise me not to use wax after car wash, is this true? secondly pls recommend good car shampoos and other detailing products for white color, help will be appreciated. Salam guys.. where can i find maguirs and nano skin products in karachi? That is strange. White color or any other color, wax actually protects the paint, that is one job part of the wax. Like the way here discussion going on. I am fia Abbar working as an manager in JNT Cargo the on of the best Shipping Companies in Saudi Arabia. We work to relocate the people's good on their new destination. NIcely done. ahmed bhai i want to meet you and learn few things from you. can you please give me time for this ? this information is really very helpful. thanks for sharing with all of us. Nice place to taking the decisions. I am Jennet will working in repkickz. Buy replica Louboutin for looking like a cool personality. Guys, I am planning to get my Honda City detailed, interior exterior and under coat. I visited SAC and detail pro and also asked my honda guy. I have a few questions, Should I get the under coating done from honda?? I am not that inclined towards honda for detailing purposes but then detail pro is charging 20k, isn't that too much?. And as this forum is filled with passionate detailors you guys must have tried both SAC.Detail pro any suggestions if detail pro is worth spending extra as SAC also has good work in market. Detail pro has broken down their services in packages the SAC guy didn't tell me any of that he just said we will bring your car to its orignal finish first in this service and then see if glass coating paint sealent etc etc can be done. I am a little new to this so experts are requested to explain me a little and help me make a decison, I have a week before I drop my car for detailing, getting my bumpers painted for now.